Healthy fried rice? Yes! 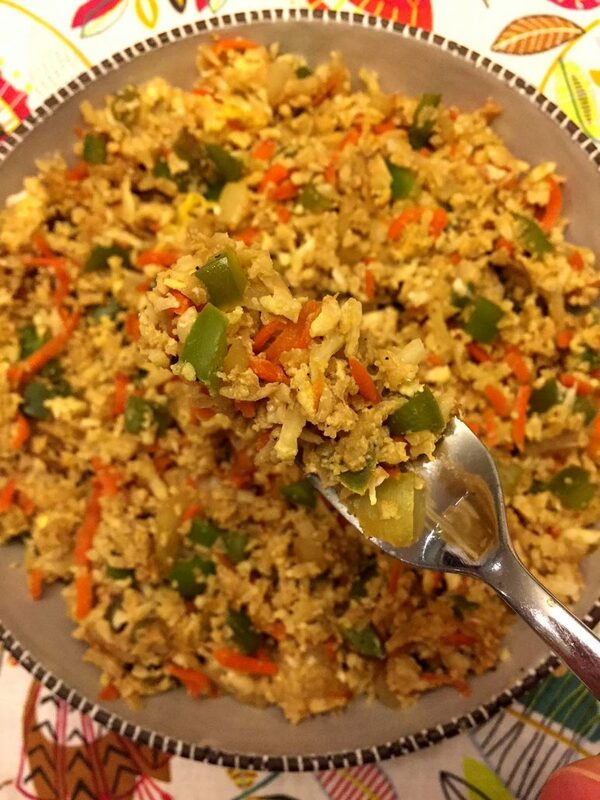 This cauliflower fried rice is so easy to make and tastes like real fried rice! 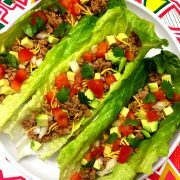 Move over, carbs, and hello vegetables! 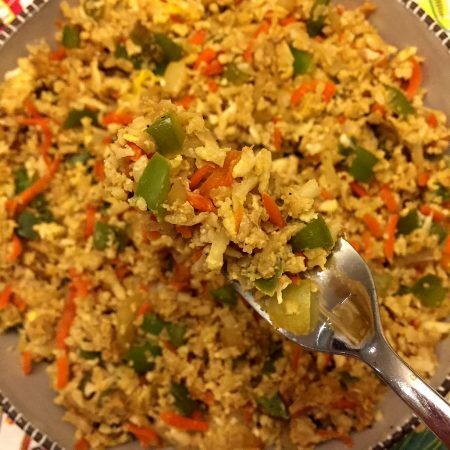 If you are on a low-carb or grain-free diet and have a craving for fried rice, you can easily satisfy it with this cauliflower fried rice! 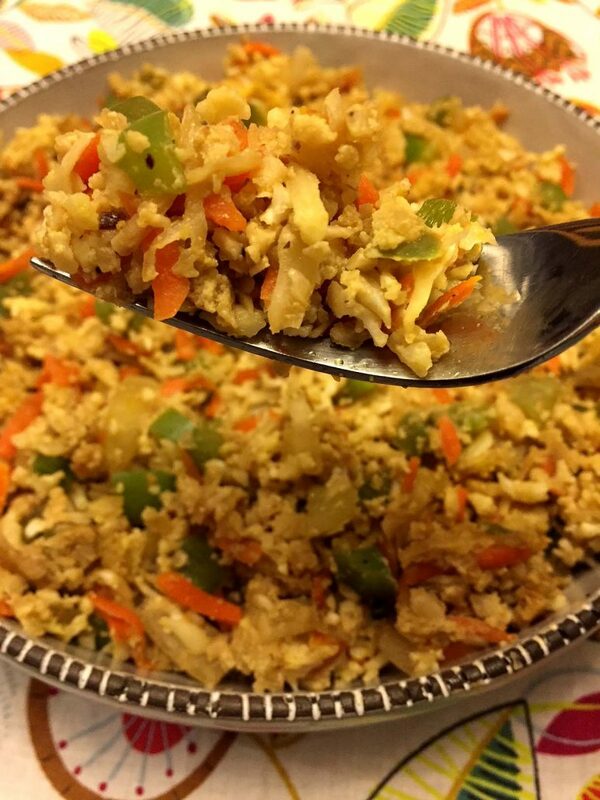 This cauliflower fried rice is actually good for you! 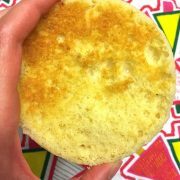 It’s full of healthy vegetables and has virtually zero carbs! Cauliflower rice makes an excellent substitute for rice. Cauliflower rice is basically a cauliflower shredded in a food processor to resemble rice, then cooked on a frying pan until soft. Because of its mild taste, cauliflower rice goes well with anything and makes an amazing side dish! 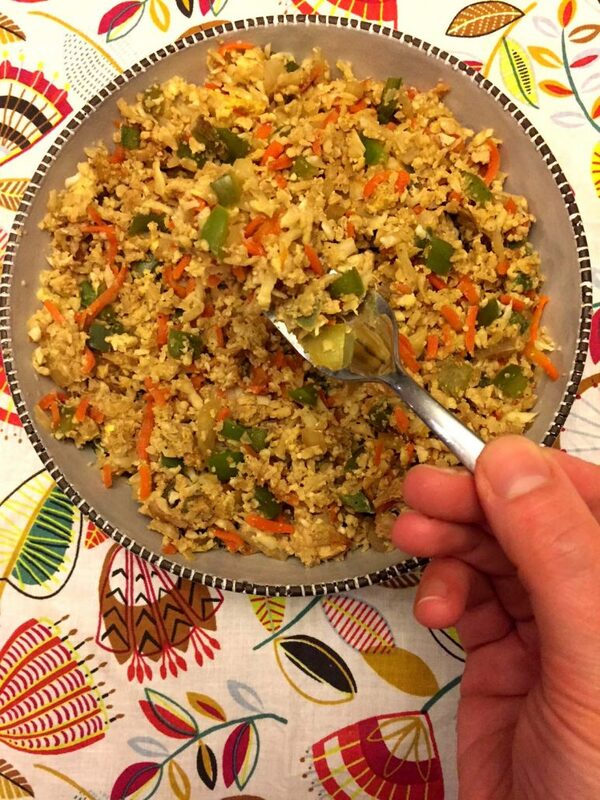 Take your cauliflower rice to the next level by turning it into cauliflower fried rice! 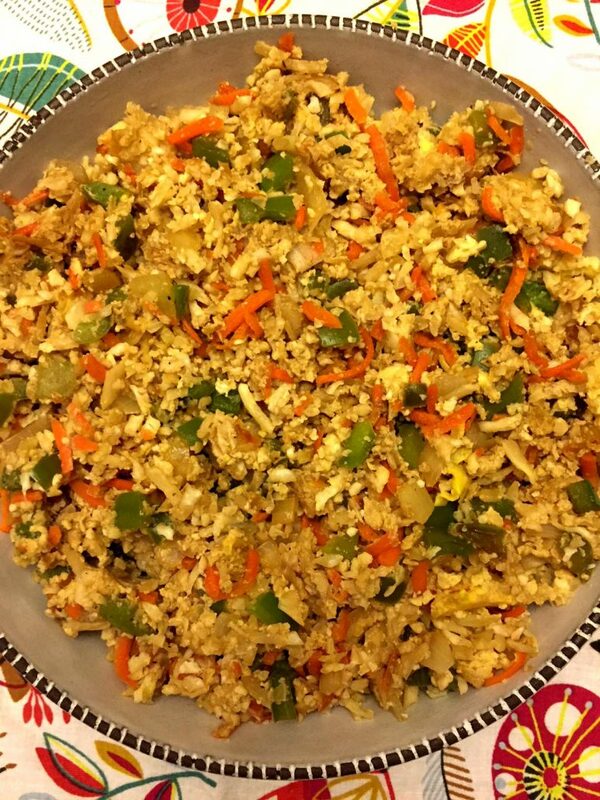 Making cauliflower fried rice is using the same process as making regular fried rice. 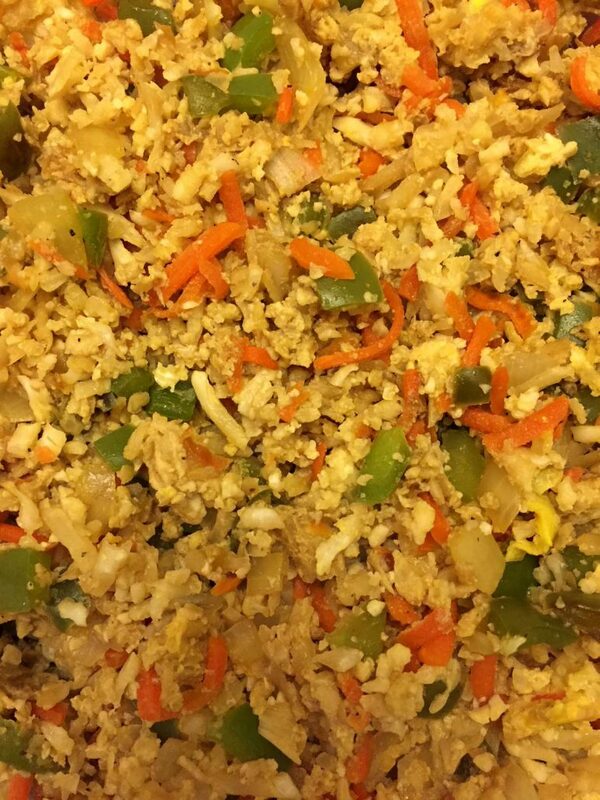 Cauliflower rice is seasoned with soy sauce and pepper and stir-fried with vegetables and egg! 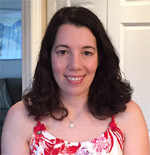 The vegetables I’m using for this recipe are chopped onions, green pepper and shredded carrots. 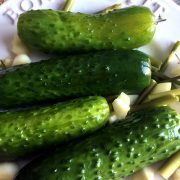 Of course, feel free to substitute it with vegetables of your choice and make other additions! Making cauliflower fried rice is a great way to clean out your fridge 🙂 Just chop things up and make them part of this epic stir-fry! 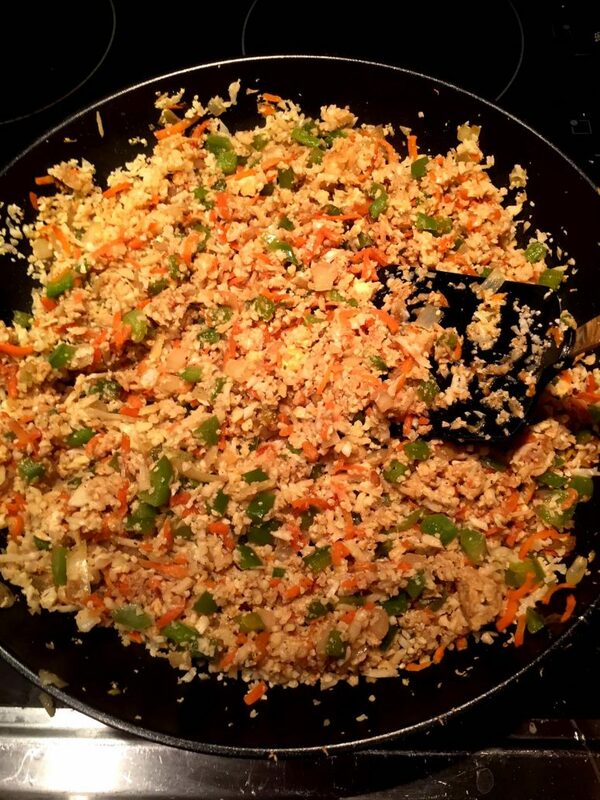 You can also make this cauliflower fried rice a complete meal by adding a protein such as chopped cooked chicken, cooked ground beef, tofu or shrimp. To make this dish vegan, omit the eggs and add an extra tablespoon of oil instead. First, cook chopped onion, green pepper and shredded carrots in some oil on a large non-stick frying pan. While vegetables are cooking, make regular (not fried) cauliflower rice by shredding raw cauliflower florets in a food processor (see my detailed instructions on how to make cauliflower rice). Next, add the raw cauliflower rice to the vegetables on a frying pan. 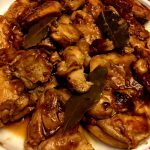 Season with soy sauce and pepper to taste. Finally, make a well in the center of the frying pan and add two eggs there. 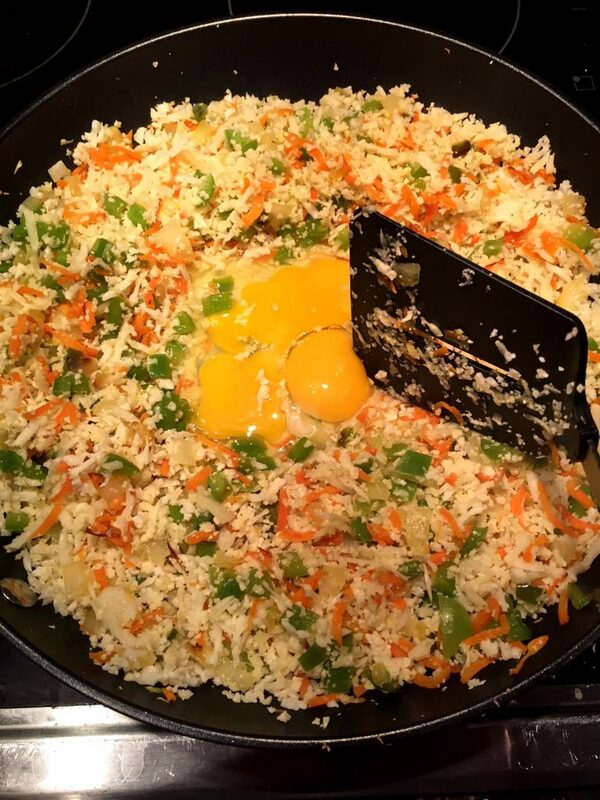 Mix the eggs into the cauliflower fried rice and cook, stirring, for 3 minutes, or until everything is cooked through. 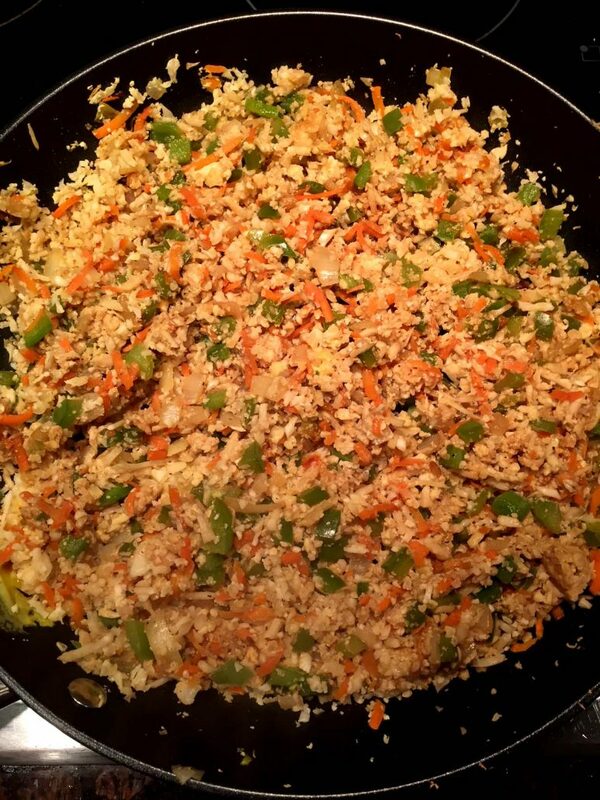 Enjoy this delicious cauliflower fried rice that is actually healthy and good for you! 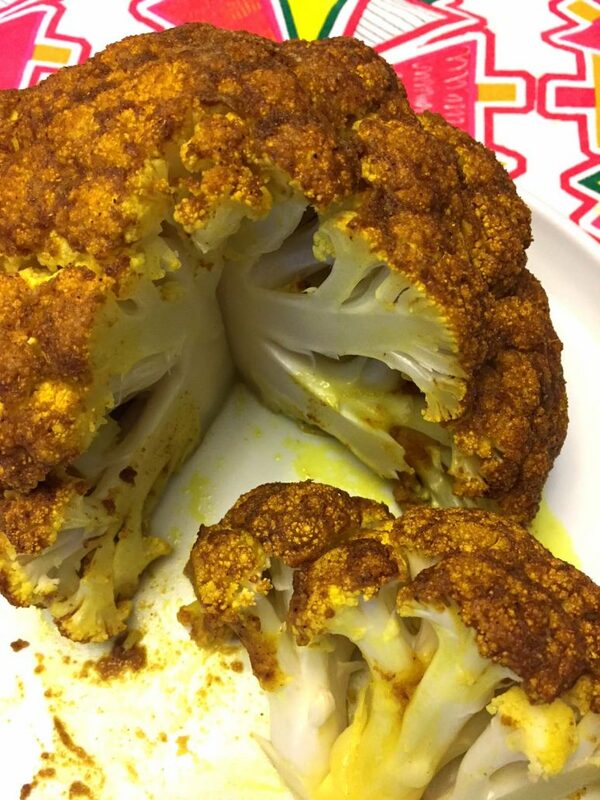 Whole Roasted Cauliflower – did you know that you can roast cauliflower whole? Yum! It makes such impressive-looking roast and so healthy too! Roasted Garlic Parmesan Cauliflower – everything tastes amazing with garlic and Parmesan 🙂 This roasted cauliflower recipe is epic! Rainbow Roasted Vegetables – these roasted veggies are arranged on a baking sheet according to rainbow colors, so beautiful and festive! 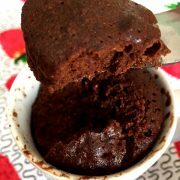 90 Second Keto Mug Bread – bread without carbs that tastes like real bread! Totally grain-free! 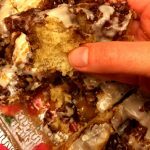 This is the best keto bread recipe ever! Portobello Pizza Recipe – pizza without the carbs 🙂 Uses portobello mushroom as a pizza crust! 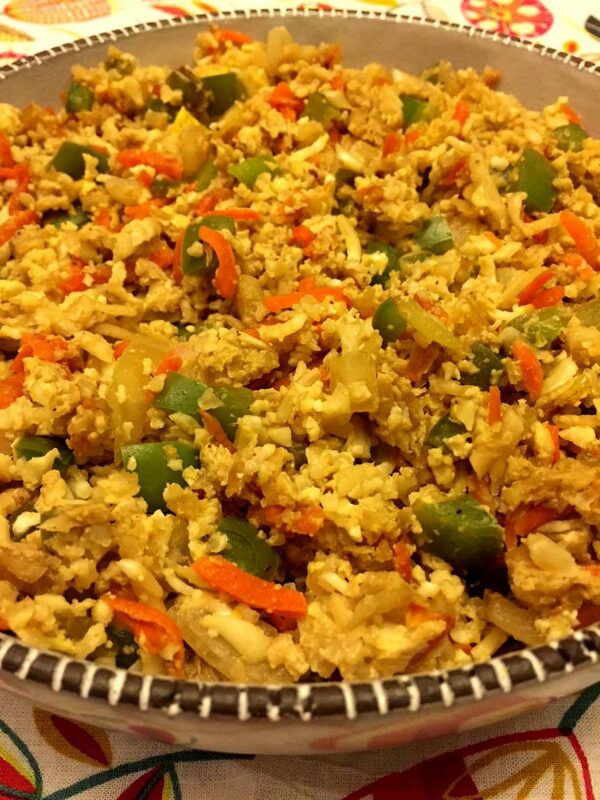 This cauliflower fried rice recipe is amazing! It tastes like a real fried rice, you won't believe it! Fried rice that's actually good for you - YES! 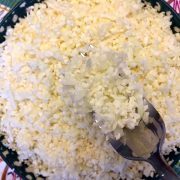 Make cauliflower rice: put cauliflower in a food processor fitted with a shredder blade and process until completely shredded. Heat the oil in a large non-stick frying pan over medium-high heat. Add chopped onion, bell pepper and carrot and cook, stirring occasionally, for 5 minutes. Add cauliflower rice, soy sauce and pepper and mix until combined. With a spatula, make a well in the middle of the frying pan and add 2 eggs to that space. 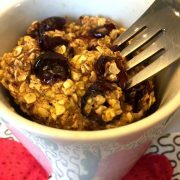 Mix the eggs with the cauliflower rice mixture and cook, stirring constantly, for 3 minutes, or until the eggs and cauliflower are cooked through.